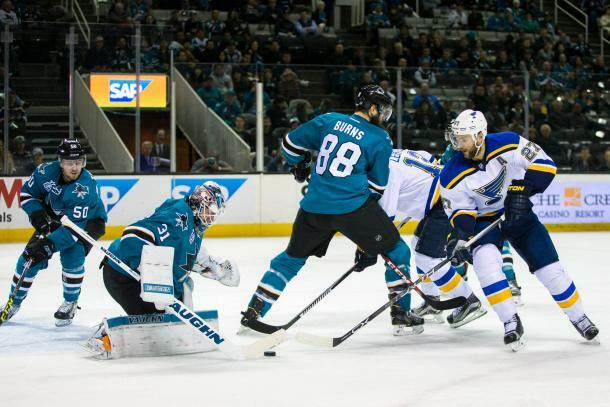 San Jose Sharks' goaltender Martin Jones is in his first full season as a starting goalie in the NHL. He looks to be the real deal and goalie of the Sharks' future. San Jose Sharks GM Doug Wilson made a bold move last summer when he acquired goaltender Martin Jones. Wilson gave up a 2016 first-round pick in the NHL Entry Draft and a prospect for a goalie with only 34 games in the NHL under his belt. 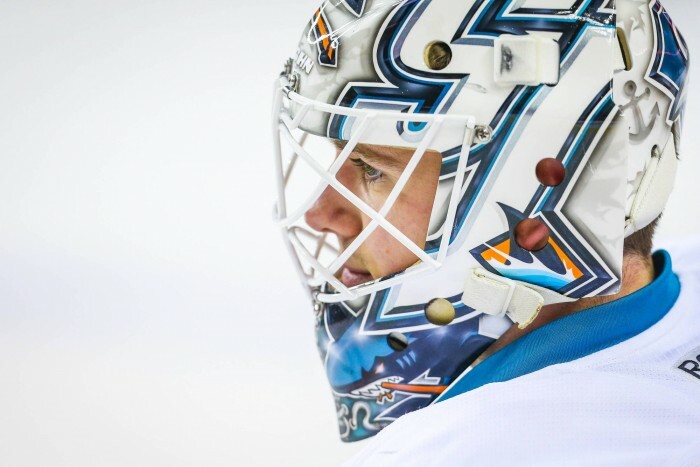 Jones was acquired and told he was going to be the Sharks' starting goalie right away. After 60 games this season, Jones looks like a future elite goalie. Jones has put up a .920 save percentage through 60 games in his first season as a starter to go along with 35 wins. Jones' save percentage puts him in the top ten in the NHL for goalies that have played at least 40 games. He's tied for ninth with his old mentor, Jonathan Quick of the Los Angeles Kings. Jones is in pretty good company there. All numbers aside, though, Jones just looks like a future elite goalie. He has the size (6'4" frame), athleticism, work ethic, and calmness that make a goalie excel. He makes big saves at key moments of games and that's exactly what an elite goalie does. He is fun to watch because he's able to play the blocking style of goaltending that big goalies are known to play, but he's also capable of playing the reactionary goaltending style when it's necessary. A goalie that is capable of both is always the best kind to have and will typically be the most consistent. Jones has some similarities to the game of Florida Panthers' star goalie, Roberto Luongo. They are similar sized and as Jones progresses through his career, he could start looking more and more like Luongo in the crease. They both have terrific strength in pushing laterally across the crease, which is key for making those big saves after a cross-ice pass. When you add size to a quick lateral push across the crease, you get perfection. Those smaller goalies that around 6 feet may have just as fast of a push, but their lack of size prevents them from getting in the way of the puck. Jones has had some growing pains this season, but since the start of the new year, he has been lights out. The Sharks added James Reimer from the Toronto Maple Leafs to backup Jones, and Jones has been even better since that acquisition. Competition always brings out the best in top athletes and Jones had no competition in former backup, Alex Stalock. Jones knew that no matter what happened, he would remain the starter because Stalock was so bad. Reimer is a goalie that could be a starter on most teams so he will keep pushing the best out of Jones. It's going to be fun to watch how Jones thrives with Reimer as his competition for the remainder of the season and into the playoffs.